Wrought iron stair parts are very popular these days. 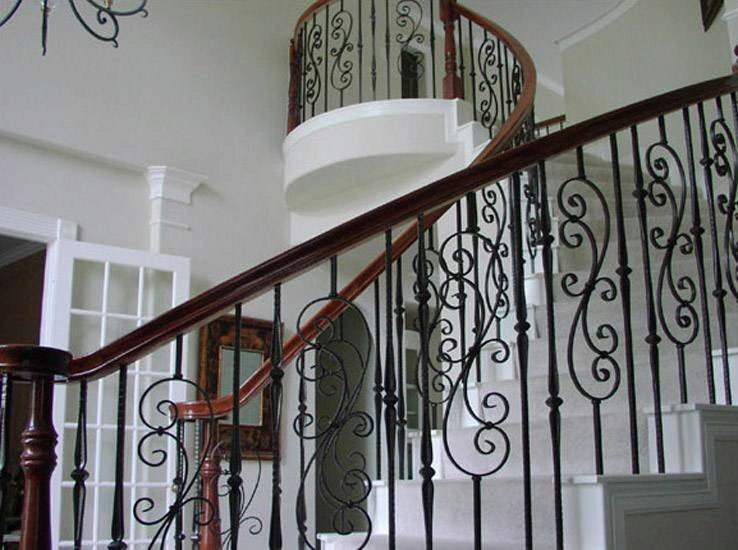 While it’s not a traditional material used for making stair parts, and one that has really found mainstream acceptance only recently, wrought iron has truly been remarkable in becoming so popular within such a short span of time. These days, when you are out in the market shopping for new stair parts, you will find many wrought iron products to choose from. These include railings and balusters made out of this material, other accessories and even, wrought iron stair spindles. One of the best reasons for using wrought iron products is their high durability and low maintenance cost. Indeed, wrought iron stair spindles, once installed, can last for years and require very little maintenance. Just a quick wipe with a clean, dry cloth is all that is needed to have them shining like new, as if they were installed just the day before. Wrought iron, in spite of all its goodness, is relatively a cheaper material. As compared to wood or marble or other materials typically used in stairs, wrought iron comes across as a wonderfully affordable and very economical choice. Take the example of wrought iron railings that can easily breathe new life into any existing décor without requiring you to break the bank over the remodeling job. Intricate patterns or simple yet elegant designs – wrought iron railings are available in a wide range of attractive designs to complement every taste and preference. You can even customize your own design.